With the demand for engineering graduates at what may be defined as an unprecedented high, many universities find themselves facing significant levels of student attrition—with high “drop-out levels” being a major issue in engineering education. In order to address this, Aston University in the UK has radically changed its undergraduate engineering education curriculum, introducing capstone CDIO (Conceive, Design, Implement, Operate) modules for all first year students studying Mechanical Engineering and Design. The introduction of CDIO is aimed at making project / problem based learning the norm. Utilising this approach, the learning and teaching in engineering purposefully aims to promote innovative thinking, thus equipping students with high-level problem-solving skills in a way that builds on theory whilst enhancing practical competencies and abilities. This chapter provides an overview of an Action Research study undertaken contemporaneously with the development, introduction, and administration of the first two semesters of CDIO. It identifies the challenges and benefits of the approach and concludes by arguing that whilst CDIO is hard work for staff, it can make a real difference to students’ learning experiences, thereby positively impacting retention. Viewed by many as the link between science and society, the Royal Academy of Engineering (RAEng, 2010) provide an insightful vision of engineering, “Engineering is about turning ideas into reality, changing and shaping the material world for the benefit of humankind” (p. i). Underpinning this vision is engineering education—the means by which society recruits and trains engineers at all levels. Moreover, the importance of engineering in addressing some of society’s most pressing problems has recently been the subject of much public attention with issues such as the Gulf of Mexico Oil Spillage, the Icelandic Volcano and the consequences of the Earthquakes in Japan making headlines around the world. 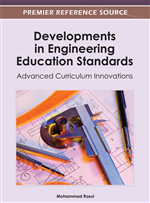 Within this context, the expectation that engineering will provide innovative and practical solutions to such global problems (IMechE, 2009; RAEng, 2008; Spinks, et al., 2006) means that engineering education has a vital role to play in the future sustainability of society. Yet, in many respects, as a discipline, contemporary engineering education is at something of a tipping point. Subjected to two seemingly diametrically opposed demands—the need to equip students with a broad range of highly technical and focused skills and capabilities, whilst at the same time preparing them for work by enabling them to develop personal, interpersonal and other ‘transferable’ skills (Lucena, et al., 2008; RAEng, 2007), the demands on University level Engineering Programmes are unparalleled. Adding to this pressure is the fact that the profession in the UK is facing unprecedented shortages—with fewer young people than ever before selecting to enter what is often a misunderstood and undervalued career (RAEng, 2007). Indeed, many Engineering Programmes are not only struggling to recruit young people, but are also facing significant levels of student attrition, with ‘student drop-out / failure’ being a major issue across the UK (DIUS, 2008; RAEng, 2008; NSF, 2009). Another challenge faced by both Engineering and Engineering Education, is that as a discipline, the profession is generally perceived to be one in which inequities and inequalities in gender, social class and ethnicity are the ‘norm’ (Gill, et al., 2008; NSF, 2009; RAEng, 2010). From the public’s perspective, such stereotypical images are reinforced when considering the ‘outwardly visible’ demographic characteristics of the Engineering Profession, which, when viewed by non-Engineers, appears to be dominated by white, middle-class, middle-aged or older males. From an educational perspective such ‘stereotypical’ images and perceptions can be off-putting for young people. The result is that many potential ‘future engineers’ simply do not consider the possibility that Engineering could make a viable and exciting career choice. Additionally, the fact that the traditional pre-requisite subjects of Mathematics and Science are increasingly ‘out of favour’ amongst today’s young people, who often perceive them to be too difficult or lacking in relevance (Jones, et al., 2000; Dickens & Arlett, 2009), means that only a few possess the basic qualifications necessary to study engineering at Bachelors level. Within this challenging environment, the future for Engineering and Engineering Education in the UK is at best challenging and at worse non-existent. Moreover, predictions indicate that the situation will worsen over the next twenty to thirty years as fewer young people will select to study engineering. This means that, unless urgent action is taken to redress the balance, the UK will face significant shortages of future engineering talent over the forthcoming decades (IMechE, 2009; Spinks, et al., 2006).